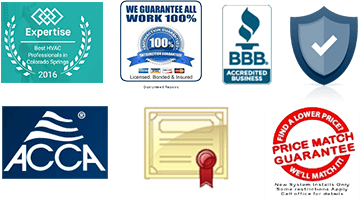 Get Reviews Archive - Basset Heating & Air Conditioning Inc. Get Reviews Archive - Basset Heating & Air Conditioning Inc. Honest, fair company! I will only use Basset for my heating and cooling needs. It’s nice to see that customer service is still a part of some businesses. Awesome company! Was able to get out earlier than quoted and showed me how to keep my furnace from having the same problem happen again. Way better than the competition! Fixed my AC this summer. Works better now than it has in years. I am very happy with Basset Heating and Air. Was very nice and clean-cut. Basset Heating and Air was able to repair my system after I was Mislead by another company into believing I would have to replace the entire system at a very substantial cost. I literally saved thousands of dollars by getting a second opinion and now my system works great! What a relief! The repairman was honest, courteous and very friendly. I will definitely recommend them to my friends, family and neighbors. Thanks again! Very professional and courteous. Helped explain how my heater worked and gave me tips on how to maintain it. Was reasonably priced and did a fantastic job. I would recommend to all my friends and would definitely use them again. Saved me over $1,000 from a competitor bid on a new air conditioning system. Professionally installed and works wonderfully. Showed up on time as promised and issued the necessary permits so there weren’t any surprises. Friendly and courteous service. Explained everything we needed to know about operating and maintaining our new AC as well as our existing furnace. Will definitely recommend to our friends and neighbors. Competent and honest–everything you want in a service technician! Basset Heating went above and beyond our expectations in the service call, and seemed to genuinely care that our heater was repaired to a high standard. We will recommend this company to our friends. One of the few companies that actually responds after hours on a weekend. Service was prompt, professional and very reasonably priced. Its nice to know there is a heating company that really treats its customers like people. I would definitely recommend Basset Heating & AC.